The ace leg-spinner finished with the impressive figures of 4/27 in his quota of four overs for CSK. IPL 2019 Kolkata Knight Riders vs Chennai Super Kings, Match 29: It needs a big heart and immense courage to stop the explosive Kolkata Knight Riders batting line-up on a good batting track of Eden Gardens. 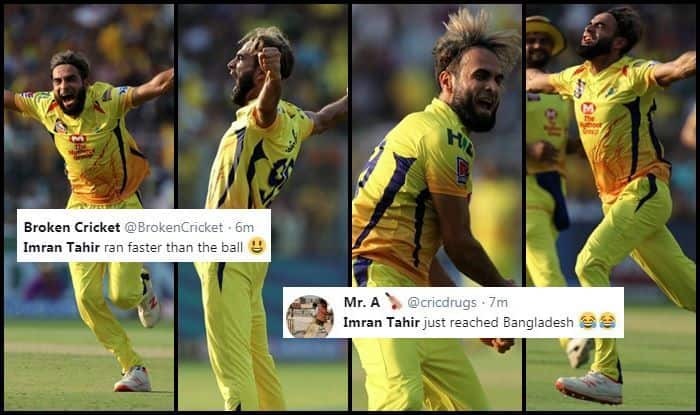 Imran Tahir turned up with both the traits on a hot Sunday afternoon during match 29 of Indian Premier League (IPL) between Kolkata and Chennai Super Kings. Tahir broke the back of KKR’s batting unit as he picked up the crucial wickets of Chris Lynn, Andre Russell, Nitish Rana and Robin Uthappa. The ace leg-spinner finished with the impressive figures of 4/27 in his quota of four overs for CSK. What was more fascinating was that after every wicket Tahir went on take a lap of the ground and performed his trademark celebrations. Earlier, Chennai Super Kings won the toss and elected to bowl against Kolkata Knight Riders in their IPL match 29 on Sunday. Chennai are playing an unchanged side.